A Camano Island Washington couple had many neighbors who had purchased, and were happy with, PermaBilt® buildings and had been dreaming of a two story building consisting of a 2 car garage / workshop on the lower level and a second level to accommodate occasional overnight visitors. 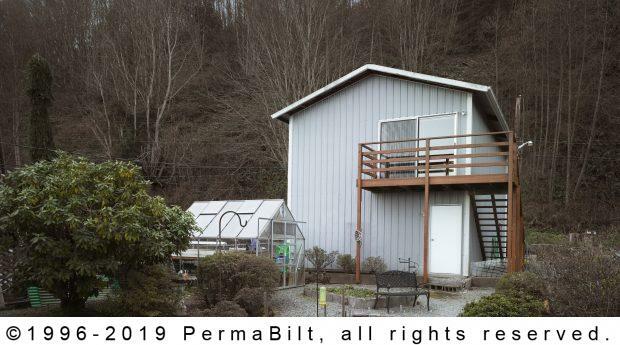 Our PermaBilt® Building Representative met with the couple and, in reviewing all options, were in agreement as to a building design that perfectly fit their requirements and budget. They were somewhat limited, due to shoreline building restrictions on their beachfront lot, on where they could put their building. The two story design maximized the building square footage they could get on their limited footprint. Upon completion, the Camano couple could not have been more pleased with the quality and appearance of their two story 2 car garage/workshop and second story guest quarters.